Notify me when " 1000 Piece Acrylic Poker Chip Carrier with Trays " is back in stock. 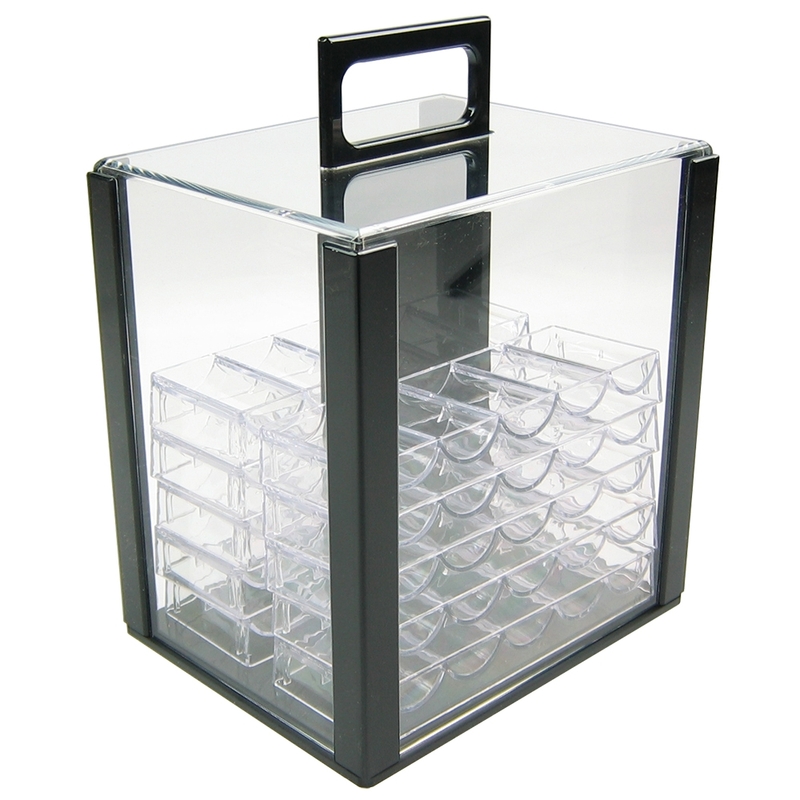 10 x Acrylic 100 capacity chip trays included. Ideal for storage / transportation. 1000 Piece Acrylic Poker Chip Carrier with Trays, holds 1000 x up to 40mm poker chips. Includes 10 x 100 capacity acrylic poker chip trays, 5 stack each side on black acrylic base connected to carry handle upright. Clear acrylic lid with black acrylic trim slides over to complete poker chip carrier for transportation. Constructed from thick acrylic the poker chip carrier is very durable, compact and ideal for storage and transportation for up to 1000 poker chips.